THE WARS HAVE BEEN GOING ON FOR YEARS. 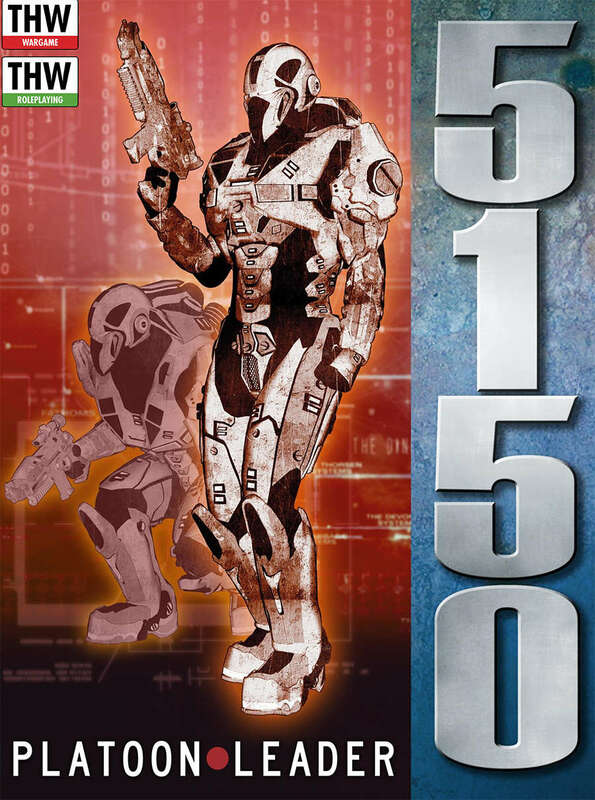 5150 Platoon Leader, The Gaea Prime Empire is still hungry and still has many enemies, including a new one – the Zhuh-Zhuh. The Bug menace is at its worst and everyday there are reports of Hishen gains, closer and closer to the Home World. Darkness is coming and the body count is growing. I like to think we’ve got them where we want them. You’re a Platoon Leader in command of three Squads. You can lead Gaea Prime soldiers, Hishen clones, Grath creatures, Zhuh-Zhuh “monkey boys”; heck even bone crunching Bugs, it’s all up to you. Although we’ve increased the size of your games, we’ve kept the detail from 5150: Star Army while streamlining the mechanics. Now you can play with more figures in less time. We’ve expanded the Campaign Rules, not made them harder. We’ve built upon those found in 5150: Star Army to now include the option to fight from planet to planet. In short, more fun, less work. · Rules to easily handle a full platoon for infantry and their support weapons. · A pre-generated campaign linking your Missions, yet still allowing you to play one-off battles when desired. · A planetary conquest campaign. · A system that rewards your successes and punishes your failures. · New Aliens to fight, plus the old Hishen and Bug standbys. · A color sheet of printable top-down counters for Hishen, Grath, Symons, and Star Army troops. Two full Platoons! Like all THW games Platoon Leader can be played solo or same-side, against the game mechanics or head-to-head against your friends. You don't even feel the bumps anymore, too many drops for that. Damn, the soldiers are getting younger and younger or maybe you're just getting older? It's not a job, it's an adventure!